These herbal cocktails will have you second guessing every drink you’ve ever ordered. If you’re one for enjoying a refreshing fancy glass of herbal blends with a punch, then you’ve landed on the right page! Here at The School of Natural Health Sciences we’re all about finding balance in life, so be it sleep, spirituality, or what we put into our bodies, we must always aim to find the healthy middle ground. There is no harm in enjoying a couple of cocktails in good company. Though we do advise to drink responsibly, keep it away from those underaged, and for health’s sake, just don’t overdo it! A hangover is so not holistic! 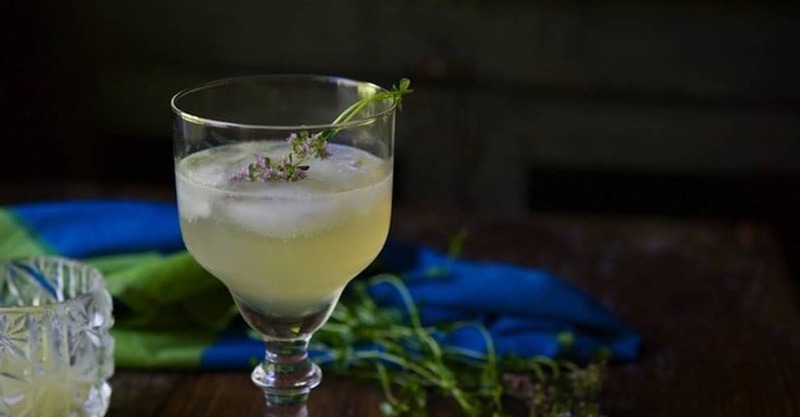 First up on our herby happy hour list, is this totally divine Gin & Lemon Thyme cocktail. Make the syrup by stirring one-fourth cup hot (but not boiling) water into an equal amount of raw wildflower honey. Crush a handful of lemon thyme and drop it in. Cover and set aside until completely cool, then strain. Extra syrup will last in the refrigerator for several days. Fill a shaker with ice and add the gin, syrup, and lemon juice. Shake until well chilled and pour into a glass. Garnish with the thyme blossom. So to keep that beloved happy hour fresh, minimalistic and full of tasty goodness! Fill a shaker with ice and add the vodka, juices, and agave. Shake until well chilled and pour into a glass. 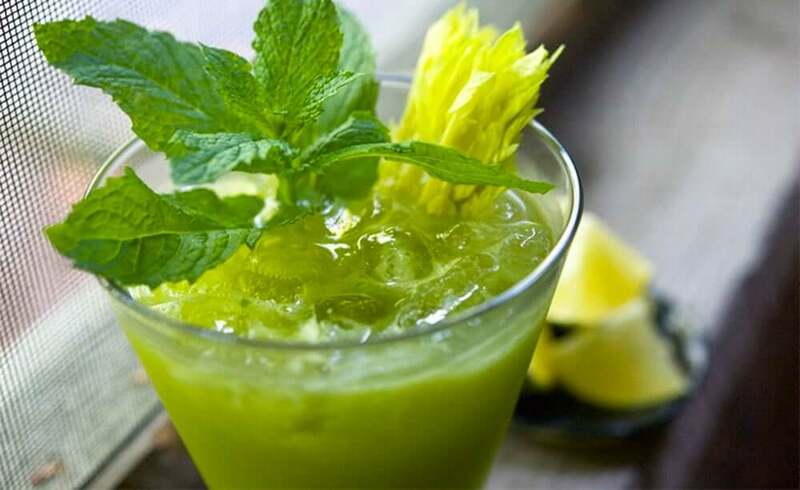 Garnish with the mint and celery. Pour water into sauce pan and bring to boil. Add honey and chopped ginger. Simmer on medium for 45–60 minutes, stirring occasionally. Place lid on pot and let cool until syrup is room temperature. Using a mesh strainer to separate syrup from ginger pieces, and pour liquid into a large bowl. Use a funnel to pour syrup from container into sealable bottle to store in your fridge where it will keep for up to 3 months. Combine simple syrup, mezcal, and lime juice in a shaker with ice. Strain into coupe and top with rosé. Submerge yourself into the healing world of herbs, and become a qualified practitioner in the process! We offer an ‘entry-level’ and an ‘advanced’ herbalism course, so that students of all levels can gain recognised diplomas. In these courses you will discover the background of herbal medicine, healthy cooking with herbs, natural cosmetics, herbal tonics and vinegars, skin care and so much more. Enrol with us for your qualification in Herbalism! Reach for nature’s greatest gift with our internationally accredited Herbalism Course of self-study or tutored guidance.